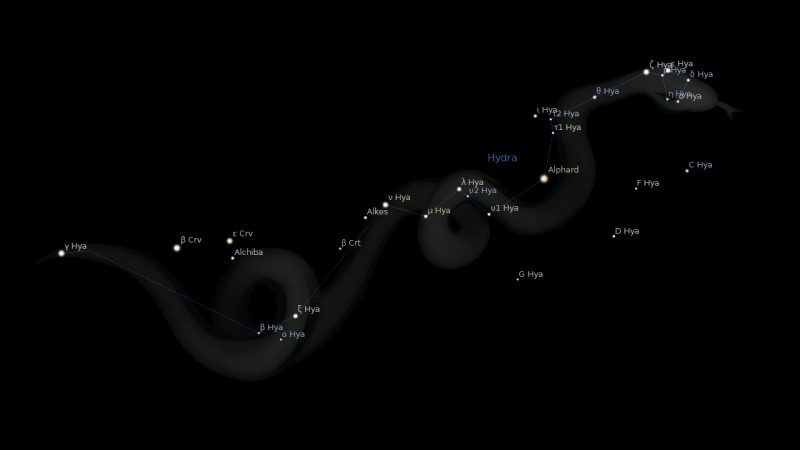 Fixed star Alphard, α (Alpha) Hydrae, is an orange star in the neck of the Water Snake, Hydra constellation. The traditional name Alphard is from Al Fard Al Shujah, Arabic for the solitary one in the snake. This is because Alphard is the only bright star in the empty-looking region above Leo constellation. It has also been called Cor Hydrae. the heart of the snake. 1. Fixed Stars and Constellations in Astrology, Vivian E. Robson, 1923, p. 47, 130. 2. Fixed Stars and Their Interpretation, Elsbeth Ebertin, 1928, p.150. 3. 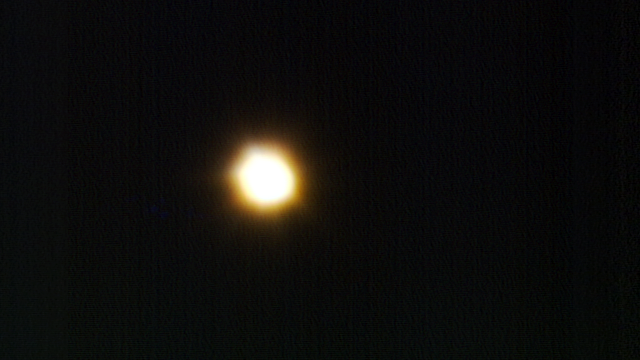 The Living Stars, Dr Eric Morse, 1988, p.154. 4. The Fixed Star Health and Behavior Imbalance, Ted George and Barbara Parker, 1985, p.62. How precipitous that the upcoming full moon on the 21st waxes across Alfard and onto Regulus within 2+ short degrees. I’m sure you picked it for our meditation, for this reason! Positioned within 2 degrees of my MC, I alarmingly recognize that Alfard squares fixed star Algol (for all of us). This is a sinister tango, based on the Alfard descriptions. With n-Algol conjunct the Liliths in my own 7th … it’s no wonder the Leo Sun applying and now conjuncting Alfard has had me swearing off relationships “til death do I part”, lately. Laugh with me, if you will, a strong and sardonic bellyful ~ no one’s laughing harder than I ! And, as to Regulus close association with Alfard ~ we are aware that Leonine pride can take down the king. An interesting reflection they cast upon each other. R ~ could be a blessing that Pluto & Uranus are RX now ? That sensation of the bow being gradually pulled back might save us from otherwise potentially rash actions ! I learned to be so direct and rashful (growing with so many men…!). And now I seem to have the disposition to be much more soft and organic. Those rx! I´ve learned to love them…! I don’t use heliacal rising Katy. You would have to see what Bernadette Brady says on that. The modern interpretations are unfolding, as we speak, which is I find it important that we do share our experiences of these transits in order to better inform what the traditionalists “spake”. New to astrology (so don’t really know what I’m looking at hah ha) – but just noticed that my MC sits in (10th house) 0’07 Leo – 26’14 Leo. Does 1 degree away mean anything? I think maybe it has. When I went through an awakening 9 years ago- I experienced a massive ‘death of self’. Everything I was in terms of my identity, social circles, career, spiritual beliefs, sexuality as well….changed in a split second and went 180 degrees polar opposite (it was NOT fun). It was a DEATH, a death of Ego. Death is also Rebirth. Shed the old to the new. Also during that time I was ultra energetically sensitive, so went into hermit mode – as the whole world felt over whelming and ‘poisoness’. Well, thats my take.! Hi Queenie, you sure do have Alphard on your MC. So interesting so thanks for sharing. This star covers over 2 degrees either side of 27 Leo. Thanks Jamie, I am fascinated by this. Snakes also remind me of Ouroboros the ancient symbol of a snake eating it’s own tail, meaning cycles and eternal return. Death and Rebirth. My Dad has this star conjunct his Lilith. I guess it’d have the same effect as the moon description. The moon description fits him quite well. He doesn’t have an appreciation for art and music, as he isn’t creative at all. He’s quite rigid and hasn’t got good or creative self-expression. Yes, that is what I have been doing for Lilith conjunct a fixed star. Trump has his Mars conjunct Alphard in Leo which is conjunct his Asc. in turn square Algol. This is a very destructive configuration that spells deadly consequences for birds, I also found another symbolic connotation with Mars in his 12th house. Trump has repealed a wildlife law that forbid lead bullets used by hunters in their hunting The use of lead has ;poisonous affects toward Eagles and Hawks and many birds. The Eagle is ruled by Mars and is symbolic of America. Alphard is connected with poisoning and revolting deeds and algol connected just spells absolute destruction. hi there i have looked at donaldus maximus horoscope for a while and what can i say ? I totaly agree with you judith: this man is beeing able to destroy all hopes for a better world and for mankind to survive: not only algol/mc and mars conj. asc and phecda and so on BUT: just look at his full moon conj. his nodes AND conj. ORCUS which has prooven very destructive like algol too. And ve/sa makes him a selfish moneymaker. Just look at his decisions and you know…Last thing he has nothing better to do than put gasoline into the so called “holy” land !!! AND: This man is now leader of the bigges warcraft-nation on earth – do we need nostradamus anymore ? And to Jamie: I also do astrology since the late 80s and i like your site and big ups to your sharing of knowledge here !!!! I have Pluto conjunct Alphard in the 12th house. Do you know what effect that would have?